Don is recognized as a leading franchise and distribution attorney in the industry. He represents large and start-up franchisors and manufacturers in product and services industries. He has assisted clients in structuring, implementing and maintaining franchise systems and distribution relationships. 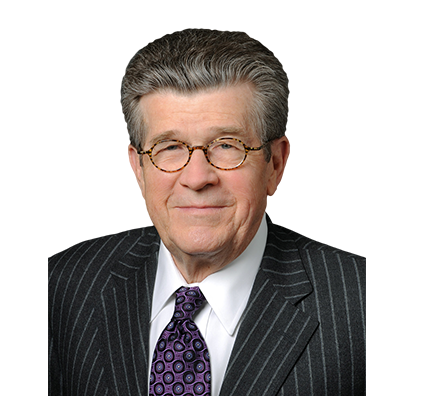 Don has practiced exclusively in franchising and distribution matters since 1979 and served as vice president and general counsel for two international franchisors for 10 years before returning to private practice. Today, Don assists clients in all areas of franchise and distribution law including the preparation of franchise disclosure documents, franchise and dealer contracts, regulatory compliance, operations compliance, terminations and renewals of franchise and dealer contracts, determining the application of federal and state franchise and business opportunity laws, litigation and mediation, and in providing practical solutions to business issues. Represented more than 50 start-up franchisors in developing franchise documents. Advised a Fortune 500 company in all aspects of franchising relationships, including defaults, terminations, renewals, transfers, enforcement of operational standards and noncompetition covenants. Coordinated franchise regulatory compliance for all franchise clients including annual franchise disclosure document (FDD) update, annual franchise renewal registrations and franchise relationship statutory compliance. Enforced the option to purchase assets of six nonrenewing franchised operations in separate litigation matters, preserving the goodwill and continuation of the six businesses as company-owned facilities. Don also is a frequent speaker at franchise seminars across the country, and a member of the American Bar Association’s (ABA) Forum on Franchising and the International Franchise Association (IFA). Represented more than 50 start-up franchisors in developing franchise documents, including the largest home companion care provider, national casual dining concepts, and a boxing fitness club and European spa concept. Coordinated franchise regulatory compliance for all franchise clients including annual FDD update, annual franchise renewal registrations and franchise relationship statutory compliance. Enforced option to purchase assets of six nonrenewing franchised operations in separate litigation matters, preserving the goodwill and continuation of the six businesses as company-owned facilities.